When My Brain Leaks, the Drops Drip Here. 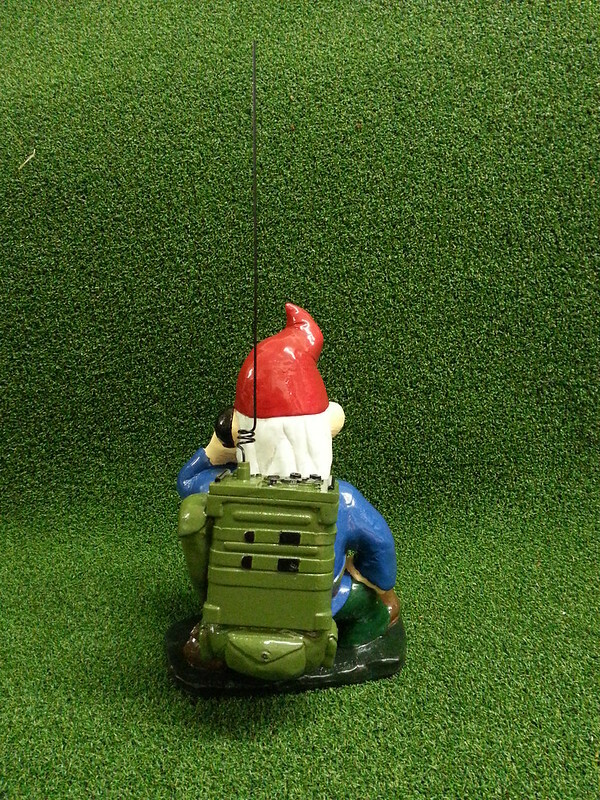 : Combat Garden Gnome Radioman is Ready to Ship Out! These are awesome. So I think the next pieces you should work on are terrain pieces. I'm thinking mushroom shaped gun emplacements that will fit some of the the other figures. Maybe a bunker. What about vehicles? I bet a jeeps would go over well. and have you thought of making "the enemy"? Who are these guys fighting anyway? Fairies? Unicorns? Demonic woodland animals? Think about it. People could have a whole set battle in their back yards. Then you could make up a rule system and people could play their backyards like 40k. Giant miniatures. 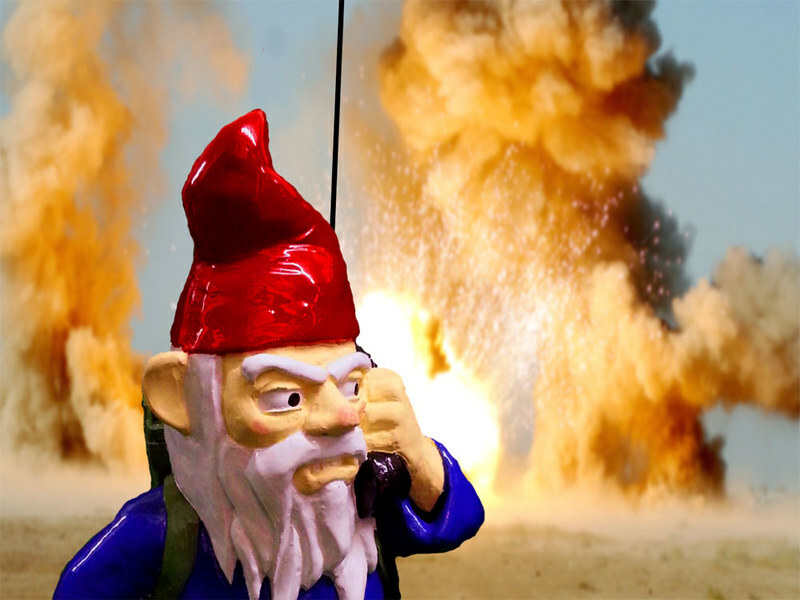 Do you know where else I could find this gnome? The link you provided isn't working so I'm assuming Etsy is sold out. 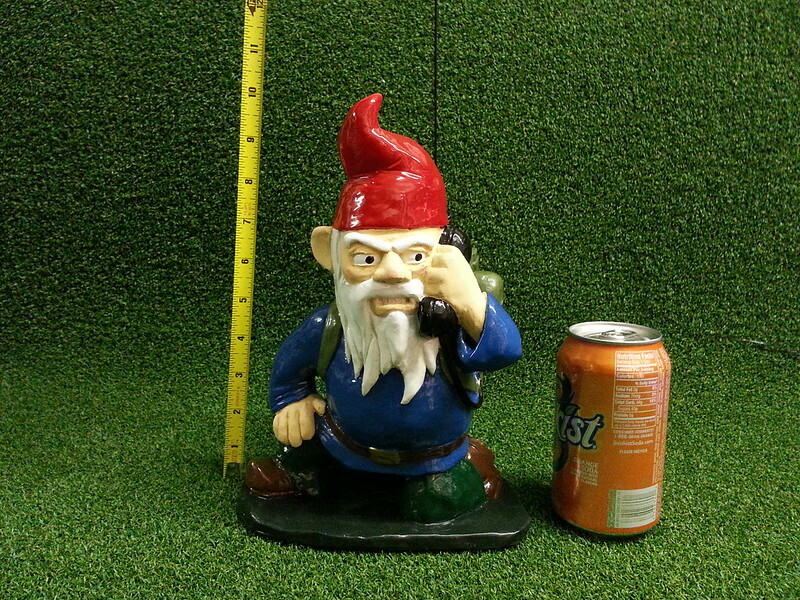 Any chance of ordering another Signaller Gnome? I work for a military signals unit and this would be awesome for a mascot. 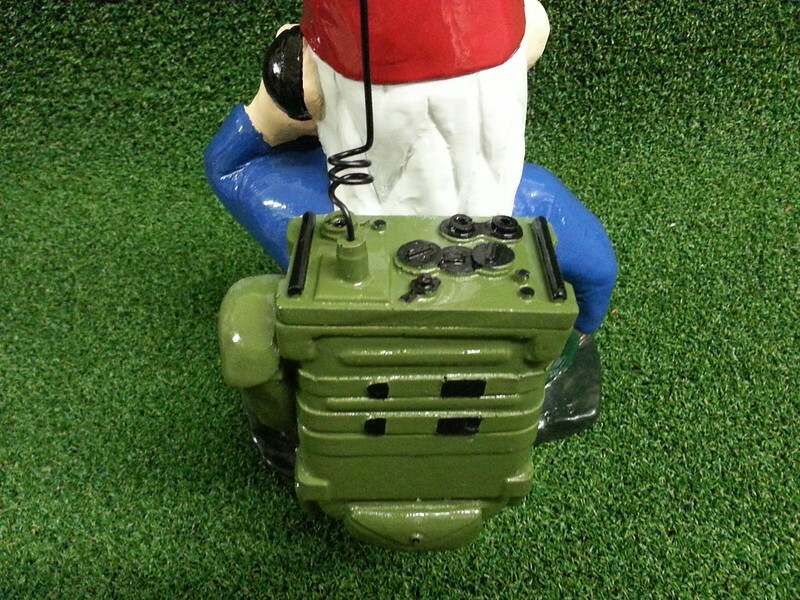 I would love to get my hands on another signaller gnome. 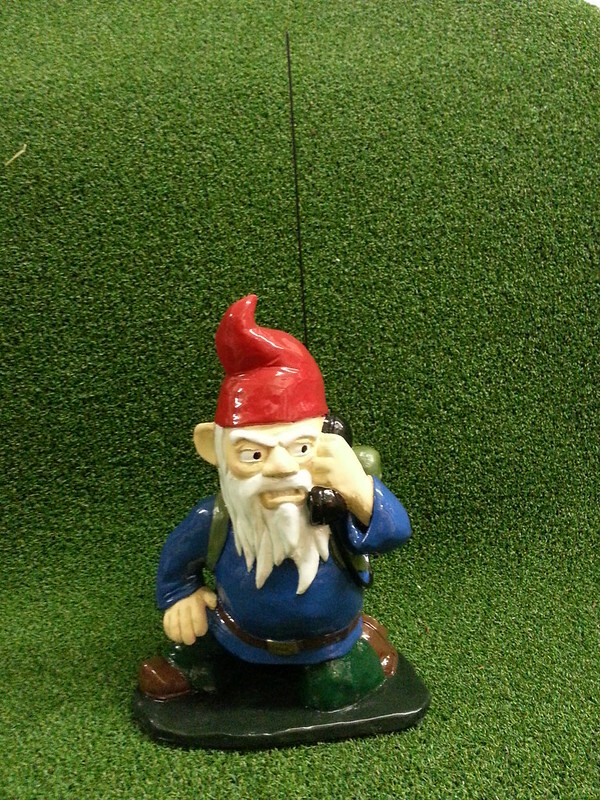 I work as a military signaller and would love to get one of these as a unit mascot. Can we get another?